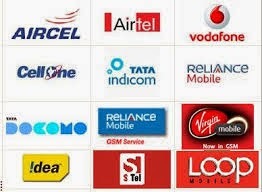 New Delhi, Mar 30 : Doubts persist over continuance of pre-paid mobile phone services in Assam and other Northeastern states beyond March 31 as government is yet to take a decision on extending permission to telecom service providers for the facility in these sensitive regions. If a decision is not taken within the next two days, about 33 million subscribers may be affected. A high-level committee headed by Union Home Secretary LC Goyal will deliberate on the issue today where a final decision on whether to continue the pre-paid service in these regions will be taken, highly placed sources informed. The Home Ministry is expected to give its nod to continue the pre-paid mobile services in the three telecom circles - Assam and Northeast -with some riders that include restrictions on some frontier pockets and sensitive areas where there is presence of militant groups. A few norms could also be added in the existing subscriber verification process. It was in March, 2013 when the last decision was taken allowing the telecom service providers to offer the pre-paid mobile phone services in these three telecom circles for two years. What will happen if the prepaid mobile service is closed in North-East ? What will happen to the existing customer ? Today Govt. decided to continue this serivice for more two years. What will we do after two years ? It is not easy for us to take a connection of postpaid service.